Welcome lights as I returned from a short walk in the rain and fading light. 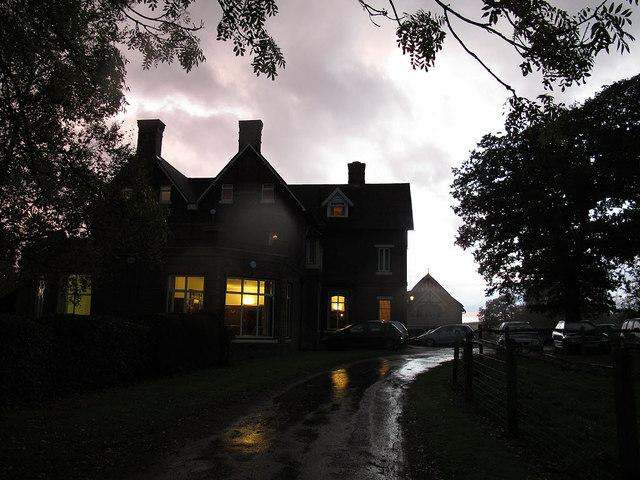 Wychcroft is the retreat house and training centre for the Anglican Diocese of Southwark, located outside Bletchingley in Surrey. It was originally part of the South Park estate, whose owner Uvedale Lambert gave it to the Diocese; it is managed by a charitable trust. The main house is 19th century, and the adjacent chapel a 20th century addition by John Hayward.